Curriculum: The redesigned full-time, one-year ESMT Berlin MBA program brings Berlin into the classroom, you into Berlin prepares you for a career in Germany. Based on the needs in the German job market, we designed tracks in Managerial Analytics, Innovation & Entrepreneurship, and Strategic Leadership, which allow you to build expertise in the areas that companies need today. Pre and post program options including German language courses and a coding bootcamp further enhance your skills. Global virtual teams, international options, and a company consulting project, combined with a class that is averages 94% international students each year mean that you will be ready to easily adapt to global business. Technology management: ESMT believes in innovating through technology. Experience this up close to the specialization track “Managing Innovation and Technology,” and through high-tech and high-impact consulting projects on offer every year. Don’t forget to join ESMT’s Entrepreneurship Club for the unique chance to connect with Europe’s most vibrant start-ups in Berlin. Sustainable and responsible leadership: With the “Global Sustainable Business” elective track, find out international management’s role in bettering the planet. Through the Social Impact Club, you connect with local and international NGOs and social entrepreneurial ventures, with which you can organize a consulting project that benefits the world. Networking in Berlin: You will have multiple opportunities to network and meet HR representatives, business leaders, entrepreneurs, and academic specialists during the entire MBA program. 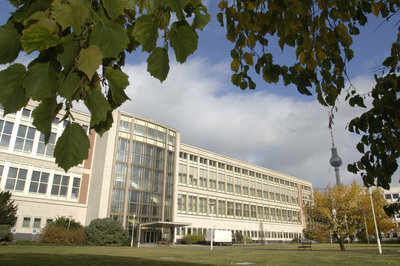 ESMT’s MBA is a 12-month program. Classes begin in January and finish in December of each year. Goethe Institut: Early applicants can move to Berlin two months early to complete an intensive German language course at a reduced rate. 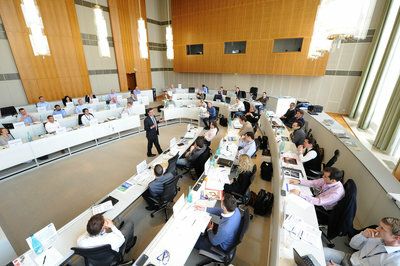 GNAM Network Week: Students have the opportunity to attend classes for a week at prestigious partner schools. Participating institutions are Yale SOM New Haven; IE Madrid; EGADE Mexico City; Koç Istanbul; UCD Smurfit Dublin; Fudan Shanghai and many more. Beijing Exchange Program: Up to two students per year extend their MBA by 6 months to take further MBA courses at the Peking University Guanghua School of Management. Responsible Leadership Fellowship: In coordination with ESMT's Circle of Friends, MBA graduates can delay their job search for 6 months to provide pro-bono services to social entrepreneurs, NGOs, and business schools in developing countries. MBA students should budget enough money to cover their apartment, insurance, public transportation or bicycle, food, and entertainment. We recommend budgeting €1,000 to €1,500 a month. Total tuition + fees. These fees include the cost of books and cases. They do not include travel to and from the optional international field seminar and Global Network exchanges.